I really need to take any recipe that proclaims it's "amazing" with a grain of salt. Especially when it's with ingredients I don't use very often. I'm not a true follower of the Paleo/Clean Eating lifestyle, but I do dabble when I see things that may be good. 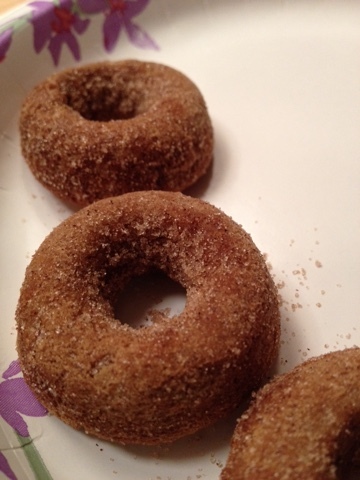 And these apple cider donuts seemed as if they would be. The writer claimed they were good. That I wouldn't miss regular baked donuts after having these. I'm not too sure about that. For starters the substitute flour for regular flour is coconut. And coconut oil for the fat. Hmmm... shouldn't this just be called coconut donuts with a hint of apple cider instead? Followed the recipe and it reminded me of playdough. A fine grained, pasty thing instead of the smooth batter I am used to dealing with. 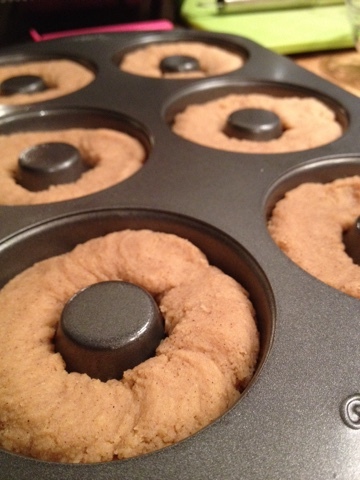 Easier to pipe into the pans unlike the regular donuts. I wasn't sure if they were going to puff up so I didn't fill the pans all the way. But maybe I should have. Overfilling would have made it easier to take out of the pan. Or not - I broke a lot of them as I tried to get them out of the pan. These donuts were crumbly, dry. And tasted more like coconut than apple cider. 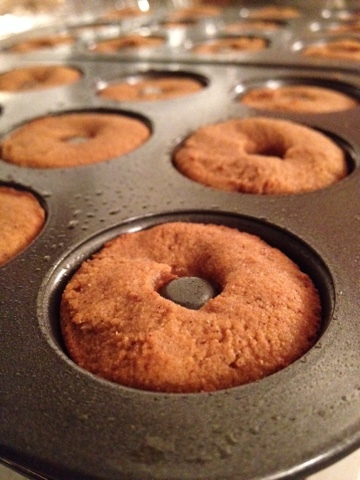 Tossing in cinnamon sugar helps distract you from the weird texture, but not much.